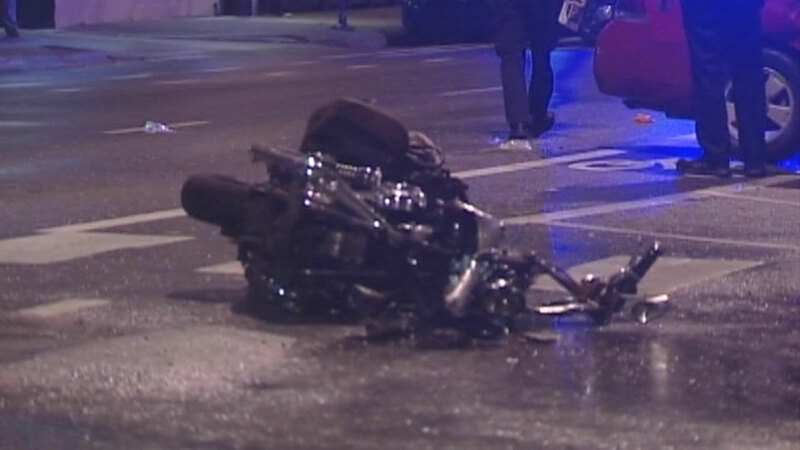 A woman is in critical condition after police say the motorcycle she was driving slammed into a car. 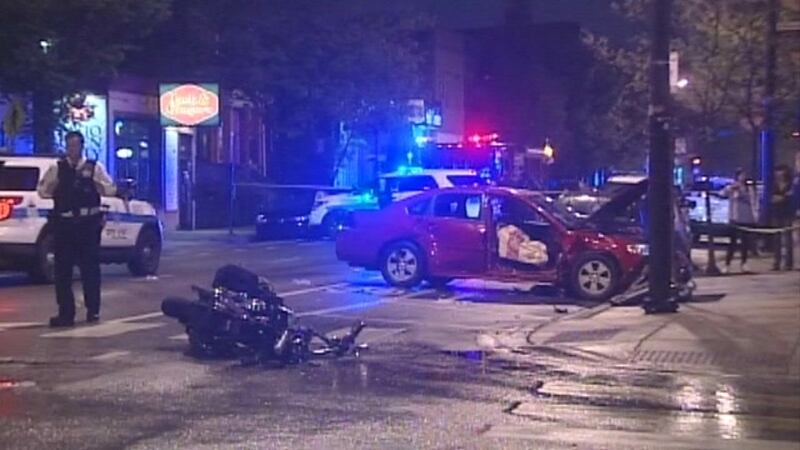 The crash happened at the intersection of Armitage and Hoyne in the city's Bucktown neighborhood. Two people inside the car were also hurt and hospitalized in stable condition, police said.